"In the alternating voice of her two protagonists, Menon explores themes of culture and identity with insight and warmth...Readers will be caught up as Rishi and Dimple navigate their ever changing, swoonworthy connection, which plays out as the app competition and complicated social scene intensify. Heartwarming, empathetic, and often hilarious, a delightful read." "While Menon's portrayal of the struggles of Indian American teens is both nuanced and thoughtful, it is her ability to fuse a classic coming-of-age love story with the contemporary world of nerd culture, cons, and coding camp, that will melt the hearts of readers." "The strength of the story comes from its blending of Indian culture and values into a modern-day romance that scores of readers can enjoy. This novel touches on issues of identity while remaining light and fun. Verdict: A strong choice for any young adult collection." "The arranged marriage YA rom-com we've been waiting for." "This book is a hug you can carry, but it's also a smart exploration of how hard it can be to hold onto who you are and what you want if you dare to let someone else in." 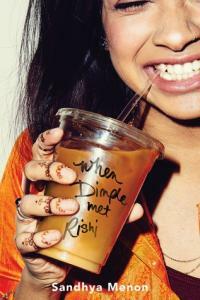 "The cultural pleasure and pressures each teen faces are integral to the way Rishi and Dimple approach their everyday lives and relationships, and the ethos is unapologetically positive even as Dimple chafes against her mother's traditional approach to femininity. With just the right blend of substance and fluff, this makes for a perfectly sign-worthy beach read."